The great plant hunters Ludlow and Sherriff returned to Britain in the 1950s. George Sherriff and his wife started a garden only 50km away from Glendoick and they became great friends of the Coxes. On an early visit to their home, Ascreavie, Peter spotted a dwarf yellow-flowered rhododendron species with enormous bowl-shaped flowers for the size of the plant which turned out to be a Ludlow and Sherriff introduction Rhododendron ludlowii. The Sherriffs allowed Peter to take some pollen home which he applied to R. chryseum (now R. rupicola var. chryseum.) In due course, the hybrid R. 'Chikor' was selected and named from this cross and which was given an Award of Merit and later a First Class Certificate by the Royal Horticultural Society. A chikor is a game bird and this started the theme of naming all dwarf lepidote hybrids after birds, another prime interest of Peter's. From then on, several dwarf crosses were made every year with Kenneth Cox starting to make his own crosses in the early 1980s. There are now almost 25 Glendoick birds which are popular with gardeners and rhododendron collectors in many parts of the world. CHIKOR 30cm. H4. Bright yellow flowers in May. Our first award winning dwarf yellow hybrid. Compact twiggy growth. Needs cool roots & good drainage. CRANE 75cm. H5. Creamy-white flowers in April. A white version of 'Ginny Gee' which is hardy, very free-flowering and easy to please. One of the best white dwarf hybrids. CURLEW 40cm. H4 Comparatively large, beautiful, open-faced yellow flowers in April-May. Neat spreading habit and good foliage. Expanding buds need frost protection. A best seller. EIDER 60cm. H5. Pure white long-lasting flowers in April. Flowers relatively frost resistant. Foliage yellowish-green. EUAN COX 15cm. H4. Tight glossy foliage and fine yellow flowers on every shoot in late May. A real winner, easier to grow than either parent. The one hybrid made by nursery founder Euan Cox. GLENDOICK FLAMINGO 20cm H4-5 NEW brightest pink. very compact. MERGANSER 45cm. H4. Freely produced yellow bells in May. Very neat habit with dark green foliage. PINTAIL 60cm. H4. Masses of spectacular brightest pink flowers in multiple trusses in April. A compact plant with good foliage. PIPIT 20cm. H3-4. Charming flat-faced pink flowers with darker markings in late May. A natural hybrid from Nepal. Needs extra care. PLOVER 50cm H4 M The first scented pink dwarf hybrid hardy outdoors at Glendoick. Deep green leaves. Needs good drainage. PTARMIGAN 30cm. H4. The 'Snow Grouse' is covered every year by a carpet of pure white flowers in March-April. Flowers open over a long period during spells of mild weather, so it nearly always puts on a show. Creeping/spreading habit. QUAIL 30cm. H4. Bright red buds open to deep reddish-pink in April-May. Compact habit. Very free-flowering, the flowers last best in part-day shade. Almost a true red lepidote dwarf. SWIFT 60cm, H3-4. Fine yellow flowers, strongly spotted red, very freely produced in May. Not for gardens colder than Glendoick. Like ‘Curlew' but a bit later flowering and more bud hardy. TANAGER 75cm H4 L Pale yellow bells in late May- early June. Vigorous. Latest flowering of the birds. TINKERBIRD 75cm. H3-4. ` Masses of scented cream-white flowers in early May. A real breakthrough: a compact, scented dwarf which grows outdoors at Glendoick. Best in a sheltered site. Surprisingly bud hardy. Also good as a pot plant. TREE CREEPER (keiskei x glaucophyllum C) 30cm. H4. Pink buds opening to flower pink on outside cream inside, giving an attractive two-toned effect. Compact habit. Very free-flowering. Flowers last best in part day shade. WIGEON 60cm. H5. A Glendoick introduction. Fine slightly glaucous foliage, compact habit and saucer-shaped pink flowers, spotted deeper, in May. WREN 20cm. H4. Smothers itself with clear yellow flowers in May. A gem, popular with rock garden enthusiasts, which forms a tight mat of attractive, shiny leaves. We have always looked for breeding goals which produce plants which fill a niche not already filled. So in ‘yak' hybrids we could not find good enough reds yellows and oranges, so we concentrated on these colours. With ‘Lem's Cameo' hybrids we needed varieties a little tougher than many of those from the Pacific Northwest. GLENDOICK ®TM GOLD 1m. H4. A breakthrough hybrid, the first really deep yellow ‘yak. Rounded trusses of deepest bright yellow. Very neat compact habit. Needs good drainage. GLENDOICK®TM MYSTIQUE (91/1C) 1.3m. H4. (Percy Wiseman x September Song) Glowing salmon-peach flowers in late May in fine trusses, a really different and irresistible colour. GLENDOICK ®TM PETTICOATS [GLE015] H4 Med M Frilled, apricot fading to cream, with a red throat in a rounded truss. Compact and dense. A fine, easy hybrid with amazing flowers which change colour. GLENDOICK ®TM RUBY (REP) 50cm. H4-5? Very fine waxy deep red with a large calyx and no stamens in April-May. Slow-growing with fine foliage. Ideal to grow with the bird hybrids. GLENDOICK ®TM VANILLA 1.2-2m. H4-5 (yak x hemsleyanum) Vanilla-scented pure white flowers in June. Tight and compact with very handsome foliage. Limited numbers. GLENDOICK ®TM VELVET 1.5m. H5. (Azurro x Rasputin) Very deep purple flowers in May-early June. Upright, dense habit with reddish stems. The best dark purple hybrid for us. LOCH AWE 1.5m+. H4. (Percy Wiseman x macabeanum) Pale pink or cream flowers in April. This is like a dwarf large-leaved species with handsome large leaves with white indumentum on the underside. drainage. A new Glendoick hybrid which is a real yellow ‘yak'. LOCH FASKALLY H5 Low White with orange brown/yellow blotch, many-flowered truss. Very vigorous, with good foliage and habit. Like a late flowering Cunningham's White with better habit than the others of this colour. LOCH LOMOND (92/8A) 1.4m. H4. Deepest rich yellow flowers in a rounded truss in May. Slow-growing and free-flowering with bronze new growth. A very promising new Glendoick hybrid. LOCH TUMMEL (pachysanthum x morii) 1m. H4-5? A natural hybrid. White with a reddish purple blotch in April. Neat foliage with light indumentum beneath. A hybrid for species enthusiasts! Rhododendrons have an astonishing diversity of foliage shape and form, particularly amongst the species. Many have a covering of hairs on the leaves known as indumentum which varies in colour from near white to rich dark brown. Over the last 15-20 years Peter & Kenneth Cox have been working hard at raising hybrids with foliage with colour which persists all year round. For silvery foliage, the species R. pachysanthum has been an obvious parent. Several hybridisers made the ‘yak-pachysanthum' cross and the first one we named was a Danish selection by Sven Hansen, now named ‘Viking Silver'. A selection of R. oreotrephes raised from Chinese seed with particularly blue leaves has been named ‘Bluecalyptus'. Most exciting of all are hybrids with red leaves which have EU Plant Breeders Rights and are now on the market. These took 20 years of trialling and testing before they were put on sale to the public. ‘Everred' (PBR) has deep reddish-purple leaves on both upper and lower surface. It is rather shy flowering, with dark red flowers, but makes an outstanding foliage plant. ‘Wine and Roses' (PBR) has bronzy young growth with a deep pink leaf underside and masses of bright pink flowers. Wine and Roses flower and foliage (left) and Everred (right) new growth. 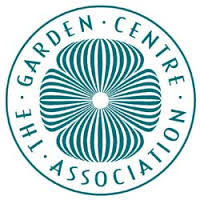 In the late 1960s, Peter noticed that most of the commercially available evergreen azaleas were not reliable garden plants in Scotland. He began to hybridise these, naming the best selections using the theme of mammals. The very dwarf remarkably hardy red-flowered species R. nakaharai, from Taiwan, was used with considerable success. The varieties in the ‘mammals' series are now grown by every major grower in the U.K. We also turned to Germany and Holland to source other suitable varieties and have found R. kiusanum hybrids bred by Hans Hachmann to be the best performers. ARCTIC FOX 60cm+ H3-4. Spectacular large pure white flowers, May-June. Fairly compact. CHIPMUNK 30cm. H4-5 Bright pink flowers in late June. Slow-growing. GLENDOICK ®TM CRIMSON 60cm. H4-5? Fine dark red flowers in May. Deep green foliage. Needs pruning when young. GLENDOICK ®TM DREAM 50cm. H4-5. Masses of double, ruffled purplish-red flowers in May. A new colour break for azaleas hardy in Scotland, and bound to become a best seller. GLENDOICK ®TM ERMINE 60cm. H3-4. Sister of Arctic Fox. Pure white. Free-flowering. GLENDOICK ®TM GARNET 90cm. H4-5? ‘Hot' deep red flowers in May. Should be very hardy. Tidy upright habit. GLENDOICK ®TM GLACIER 50cm. H4-5? Double white in May-June, everyone's favourite. A sure-fire best seller. Compact habit. GLENDOICK ®TM GOBLIN 60cm+. H4-5? Carmine-red, Neat habit with good foliage. GLENDOICK TM STARBURST 60CM. H4 Starlike narrow petals en masse in mid May, mauve-pink. Koromo Shikibu hybrid with narrow strap like petals, hardier and more compact than parent. Named 2015. The best strap petalled azalea so far. LEMUR 30cm. H4-5. Deep pink in late May. Shiny leaves with attractive red buds. Low-growing. PANDA 30cm. H4-5. The neatest mound of plentiful pure white flowers. Hardy and reliable in north. Probably the best selling white azalea in the U.K.
PINE MARTIN (2000/9B) Large-flowered single pink, Fairly compact. A show-stopper. OPOSSUM 20cm H4-5 Deep reddish-purple, May. Compact, spreading habit. Very fine. RACOON 30cm. H4. Bright red in June-July, on a compact, spreading plant. Useful for it late flowering. RED DEER 30cm H4-5 (2004 19C Red Panda x Marushka) Crimson flowers, foliage dark red in winter dark green in summer, glossy. RED FOX 20cm H4-5? Red flowers on a compact spreader ground cover. Like red version of Wombat. RED PANDA 20cm H4-5 The most dwarf, compact and slow growing of the Glendoick red hybrids. May. SQUIRREL 45cm. H4-5. Masses of bright scarlet in June. Neat habit and good foliage. One of Britain's best selling azaleas. WALLABY 30cm H4-5 Huge purple-pink flowers on a compact spreader, May. WOMBAT 15cm. H4-5. A carpet of pink in late May-June. Virtually a ground cover, with horizontal branches. Excellent in Scotland. 2. Increased range of strongly scented varieties. Many under trial. 3. Deciduous azaleas with blue or dark foliage. Several under trial. BEN VRACKIE salmon pink, orange centre. 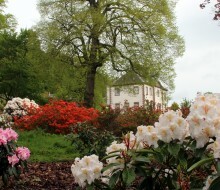 Peter Cox began hybridising in the 1950s seeking to breed rhododendrons suitable for small gardens and the Scottish climate. His son Kenneth joined the hybridising program in the 1980s. Over 50 years on, Glendoick's range of plants are now grown all over the world with more than 50 new varieties. Bird hybrids include 'Curlew' and 'Crane' and the evergreen azalea mammals as 'Panda' and 'Squirrel'. DENDROCHARIS GLENDOICK® GEM [GLE 002] CCH 3195 Fine deep pink flat-faced flowers with deeper spotting. Moupinensia SS. Early flowering dwarf species. ARBORESCENS ‘GLENDOICK FRAGRANCE’ [GLE028] Sweet heliotrope-scented white tubular flowers with contrasting purplish red style in June-July. EASTMANII ‘GLENDOICK BELLE’ [GLE032] Sweet heliotrope-scented white, pink edged tubular flowers. The Largest flowered form of this species. Needs heat for best results so best in the south. OCCIDENTALE ‘GLENDOICK PERFUME’ [GLE043] Pure white with a yellow blotch, scented, late June. VISCOSUM ‘GLENDOICK HONEYSUCKLE’ [GLE044} Sweetly-scented small white flowers in July-August.